Virtual reality experiences Spheres, Buddy VR and L’île des morts won awards at the Venice Film Festival this year. Eliza McNitt’s Spheres was recognized as the best immersive story as it delivers a sense of awe with a journey to some of the largest celestial bodies in the universe. We don’t know yet when Spheres might be released to headset owners at home but we hope to get an update soon. Buddy VR from Chuck Chae was recognized as the best VR experience for interactive content based on characters from The Nut Job film. You can see in the trailer below some of the interactive elements. L’île des morts from Benjamin Nuel won best VR story for linear content for its experience inspired by Arnold Böcklin’s mysterious painting. You can seen in the 360 degree trailer below a boat as it makes its way to a small rocky Isle of The Dead. With a number of end-of-year conferences and announcements expected in the next few months, we’re hopeful that these and other experiences recognized at the various film festivals will see release dates announced soon. The VR projects were recognized at the Venice Film Festival in Italy alongside traditional film projects like Alfonso Cuarón’s Roma, which won The Golden Lion for recognition as the best film of the year. The post 3 Virtual Reality Projects Win At The Venice Film Festival appeared first on UploadVR. From Bones to Spaceships: New Tools Required to Usher in Future of AR/VR Paul Reynolds, CEO of Torch 3D explains why he thinks VR and AR require additional toolsets to succeed. Sony Reveal Kingdom Hearts VR Experience A VR experience where you can see the franchise through Sora's eyes is heading to PlayStation VR. We should be seeing the next flagship Google Daydream-ready smartphone very soon. Last week Google sent out invites for a ‘Made by Google Launch Event’ taking place at 11am ET on October 9th in New York City. 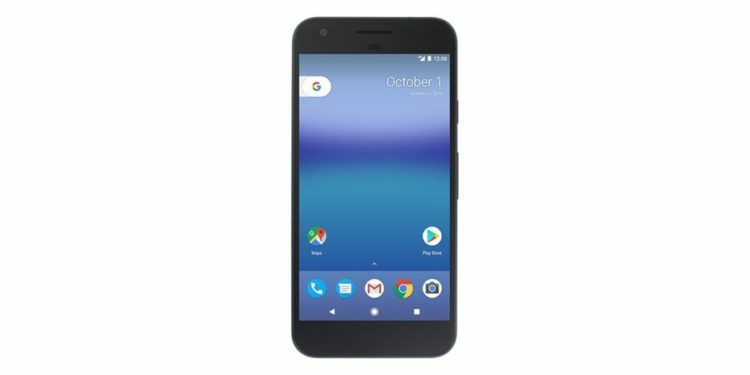 The name seems like a clear indicator that we’ll be seeing the reveal of the next in Google’s own line of smartphones, the Pixel 3 and likely the enlarged Pixel 3 XL too. This will be the first phone from the company since it acquired the design division of HTC that had made its previous two Pixel phones. Why should a VR fan care? Well, simply put, the Pixel line usually serves as the flagship device for Google’s Daydream mobile VR ecosystem. That means whatever Google is planning to unveil should have access to the entire breadth of VR content that’s been released on Daydream over the past two years. More importantly, though, there will hopefully be some updates to the kit’s design and processing power that make it the best place to jump into Daydream. You can also expect the phone to be a great showcase for Google’s Android-based augmented reality platform, ARCore. We also have to wonder if Google is planning to unveil another iteration of its Daydream View headset at the show. View was first introduced at 2016’s Made by Google event and then updated in the 2017 version, so we’re holding out hope that yet more revisions are on their way. More than anything, though, we just want to know what Google’s been up to in VR, recently. The company partnered with Lenovo to deliver the excellent Mirage Solo standalone headset earlier this year, but VR was almost entirely absent from its I/O developer conference in May. The post Google Set To Unveil Pixel 3 Early Next Month appeared first on UploadVR. VR Driving Simulator T3R Will Be Showcased at Tokyo Game Showcase Silicon Studio are using its custom YEBIS middleware to make a VR simulator based on Assetto Corsa. It’s close enough to the end of 2018 now that we’re starting to look ahead to what we can’t wait to play in 2019. It looks like Last Labyrinth will be one such game. Japanese developer Amata K.K. this month announced that this new escape room game will be launching on the Oculus Rift, HTC Vive, Windows VR and PlayStation VR headsets in spring 2019. A demo will be on display at this year’s Tokyo Game Show (TGS), which gets underway in a few weeks’ time. In Last Labyrinth, the player awakens to find themselves locked in a strange mansion filled with puzzles. A mysterious girl accompanies them as they make their way through the world, deciphering clues and unlocking doors. The game was awarded the Best VR/AR Contents prize at Laval Virtual when it was first shown last year. It’s directed by Hiromichi Takahashi, who also directed Doko Demo Issyo, the game that gave birth to Sony’s Toro PlayStation mascot, in 1999. Escape Room Games are a dime a dozen in VR, but we’re hoping Last Labyrinth’s focus on the relationship between two characters gives it the edge. The post Last Labyrinth Is A VR Escape Room From The Man That Created PlayStation’s Toro Mascot appeared first on UploadVR. Jaunt Acquires Volumetric Capture Firm Jaunt has announced the acquisition of Personify and its volumetric capture technology Teleporter. There can only be a few disadvantages to living and in an adorable paper-crafted world like Paperville Panics’ but fire is definitely a big one. So big in fact that if I were a young parent living there I’d be looking to get my kids out no matter how good the school system is. Luckily this fragile town has a savior at hand – you. Developer Ultimerse this month announced that the full release of its chaotic VR firefighting game will be lighting up on September 20th. The game has been in Early Access since late last year, tasking players with making their way through many of Paperville’s buildings, extinguishing fires and saving its residents. It’s got a full single-player campaign complete with boss battles, too. Check out the trailer above, which offers a lovely mix of picturesque city exploring and, uh, people burning alive. We haven’t played the game for ourselves yet but we’re definitely drawn to its brand of quirky humor. Look out for Paperville Panic on the Oculus Rift, HTC Vive and Windows VR headsets. There’s no sign of a PSVR edition yet, sadly. The post Paperville Panic Brings Chaotic Firefighting To VR Next Week appeared first on UploadVR. Sony’s Everybody’s Golf series is finally coming to PSVR. A spin-off of the Sony Japan/Clap Hands-developed series, Everybody’s Golf VR, was announced during the company’s pre-Tokyo Game Show (TGS) livestream this morning. From the looks of it, the game trades in the series’ usual cartoonish characters for a more realistic caddy that will accompany you across the course as you swing clubs with the help of the PlayStation Move motion controller. It’s also the first time you’ll play the game from a first-person perspective. Your caddy will feed you information like course and wind conditions while virtual info boards will fill you in on the type of club you’re using. For now Everybody’s Golf VR is slated to arrive in Japan at least sometime next year and only supports one player, though we’d love to see a local multiplayer mode that had people switching the headset around too. It’s exclusive to PSVR. The post Everybody’s Golf VR Revealed Exclusively For PSVR appeared first on UploadVR. VRFocus Speak With The Producer On Nostos To Learn More About The Beautiful Title Explore, building, survive with up to 20 players in each world. We now know when From Software’s PlayStation VR (PSVR) exclusive, Deracine, will be with us. Sony’s pre-Tokyo Game Show (TGS) 2018 livestream confirmed a November 11th release date for the game, though that’s only confirmed for Japan right now. Hopefully we’ll be able to confirm the western release soon too. Deracine looks to be a big departure for From, which is best known for games like Dark Souls and Bloodborne. It’s a story-driven adventure in which the player controls a spirit that explores the halls of a boarding school. It’s a game that looks like it’s based on interactions rather than the intense action that From is known for. Other than that, we really don’t know much about it, though we’re excited to see more. The post Dark Souls Dev’s Deracine Hits PSVR In November appeared first on UploadVR. ARCO AR Toy Car Launches Kickstarter A Kickstarter project wants to combine learning and remote controlled cars with augmented reality. The world of Kingdom Hearts is coming to Sony’s PlayStation VR (PSVR). A Kingdom Hearts VR experience was announced for the headset during Sony’s pre-TGS PlayStation livestream today. A brief trailer introduced the app, which looked like it had players wielding a Move controller to realistically use Sora’s iconic keyblade. Kingdom Hearts mixes iconic Disney franchises with Final Fantasy characters. No other information about the game was released at the time but we have to imagine we’ll find out more as we approach the launch of Kingdom Hearts III in the next few months. The post Kingdom Hearts VR Experience Coming To PSVR appeared first on UploadVR.